Cream sugar and lard. Stir in cocoa. Add boiling water. Stir baking soda into sour milk and add to mixture. Add beaten eggs and vanilla. Lastly – add flour and baking powder. Beat well. Pour into cake pans and bake at 375 degrees for 20-25 minutes. Measure all ingredients into mixing bowl. Beat slowly until all moistened. Add more milk or icing sugar if needed. Beat until smooth and light. Makes about 2 cups. (Optional) Chocolate Mint Icing: Stir in some mint flavoring, about 1/2 tsp. Add more to taste for a minty flavor. 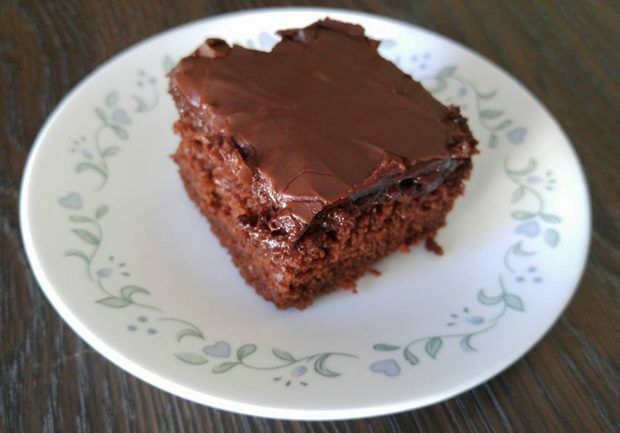 (Optional) Chocolate Mocha Icing: Use prepared coffee instead of milk or water. Apply icing to cake and enjoy!